My husband and I have talked about Ecuador and the Galapagos for a very long time, in fact, Galapagos has always been on the very top of my bucket list. With four children an adventure like this takes a great deal of planning and an extended recess from traditional schooling. We decided to take a year to try homeschooling, and to take the month of January to celebrate our 10th anniversary with world schooling our children in my dream destination. World-schooling, edventuring, life-learning, whatever you call it, it is what we were drawn to do – and it is super popular if the proliferation of blogs and books by families on round-the-world trips is anything to go by. We were driven by a desire to spend a greater amount of time with our children, escape the pressures of work and discover new cultures and lifestyles, so here we are, taking the kids out of school and setting off on an adventure. 100% present and spending time experiencing these amazing places together. The children are so excited to see the animals in the Galapagos play with penguins and sea lions and see Tortoise that roamed when Darwin was discovering the Origin of Species. (almost as excited as me) We have spent the last few months learning about the eco system in Galapagos and in fact we have learned about all the bio diverse areas we will visit in Ecuador. The children have also learned about Darwin and are so excited to go to the research centre named after this great man. We will zipline in the cloud forests of Mindo, have the culminating event of our Charlie and the Chocolate Factory Novel Study – Visiting a real Chocolate Factory, we will visit volcanos and drink from the fountain of youth. Our plan is to just spend a month seeing an immersing ourselves in the culture and lifestyle of this amazing South American country. We want our children to experience exciting destinations, and authentic immersive travel. Adventures they will remember for a lifetime – Something we will all proudly recount to our grandchildren someday. We had to make sure all our travel vaccinations were well in hand because with an immune compromised child nothing can be left to chance. My friend from Mexico made sure I knew how to properly explain his Celiac disease and his food allergies to try and insure that we travel safely, however, I have been assured by our Ecuadorian friends and the internet that eating Gluten Free is extremely easy throughout Ecuador. 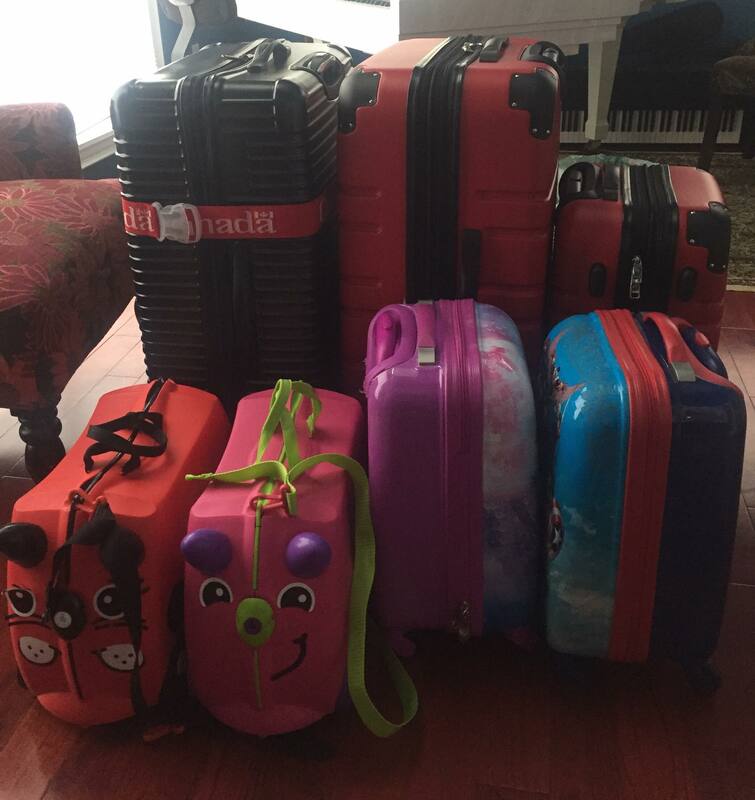 So here I am the day before the biggest adventure we have taken with our children having checked and rechecked the luggage. I think everything is in order and we have everything we need packed and if not, we will have to deal with that on the ground. I have prepared an epic travel binder with all our plans and reservations as well as made sure all my travel apps are updated as well as maps incase our cell service is patchy. My eldest daughter is sitting next to me finishing her grade 3 Spanish textbook. She has worked to hard to complete three grades since September. She is a planner like me and wants to be sure she can communicate. Our home will be in the hands of very competent house sitters who will enjoy our home while we are gone and our dogs will be entertained and loved by them so we have no fears on the home front. Even after so much preparation and research this trip has snuck up on me – So wish us luck and say a little prayer The Aeto’s Nest is off to see the world!